Keeping track of your expenses is a job in its self. Trying to keep a track of mileage or petrol receipts for each job can be a chore each month. 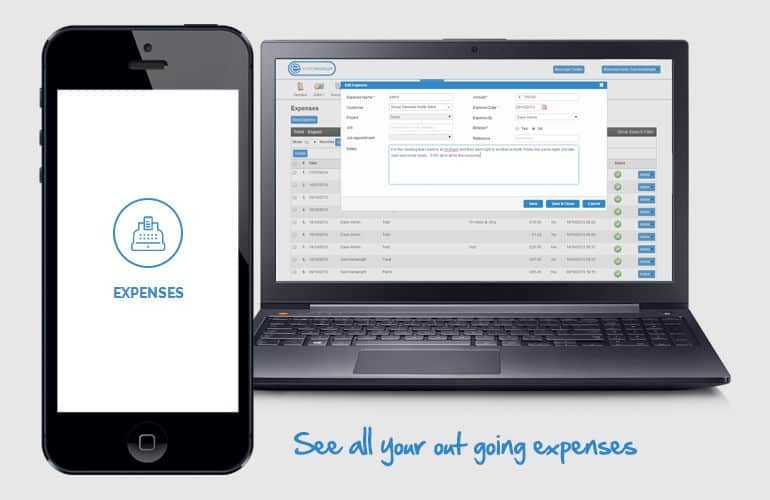 Having access to the expenses part of our App enables you to track all your expenses as and when they occur. This allows costs to be assigned to specific jobs and also allows you to see the true profit of every job and customer. Whether the expense is billable or not, it is an expense to your company, and these should be tracked if you want to see all your costs and get accurate profit reports.